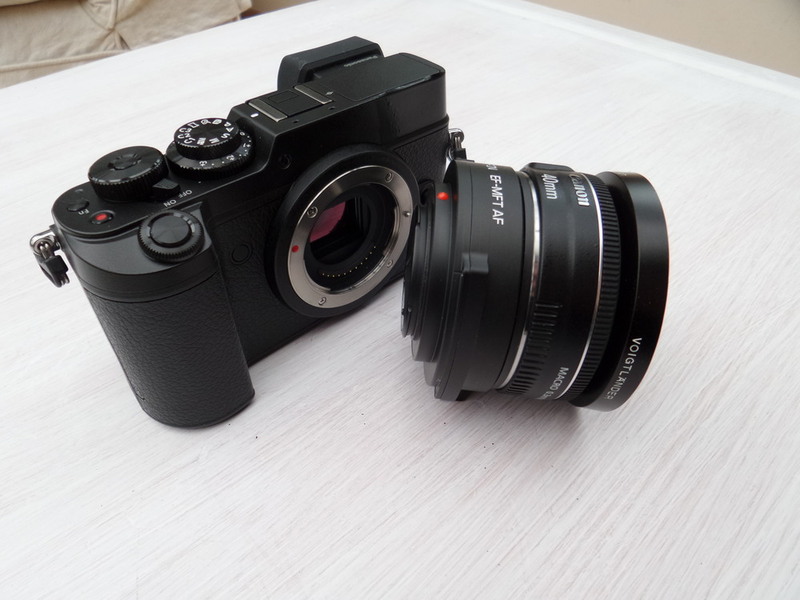 The Kipon Canon EF > m4/3 Electronic smart AF adapter is one of the new breed of electronic adapters that offer AF, Electronic Aperture selection via the camera and the ability to trigger the lens IS (if it has it) for Canon EF lenses on mirrorless bodies. In the above images I have attached my Canon 40mm f/2.8 pancake lens to my Panasonic GX8 via that adapter. This is not the same as a Metabones Speed Booster or the Lens Turbo range. Those adapters have a lens included with reduces the crop factor when using 'FF' Canon and Nikon lenses from 2x to 0.71x or 0.68x. (0.5x would mean you would get a 'FF' view from a 'FF' lens on m4/3) and offers an extra stop of light gathering. The Kipon has no such abilities and has the normal 2x crop. What it does offer (according to Kipon) is the fastest AF for Canon EF lenses so far plus the aperture selection and IS triggering mentioned above. So how does it perform? It performs very well indeed. And it is further evidence that these adapters are getting better as time passes. Some of the early ones for Canon EF lenses that had AF were somewhat slow and unreliable, but with this and the Metabones one I reviewed in a previous post, there is now very little difference between the AF capabilities of 'native' lenses for m4/3 cameras and adapted Canon EF lenses. 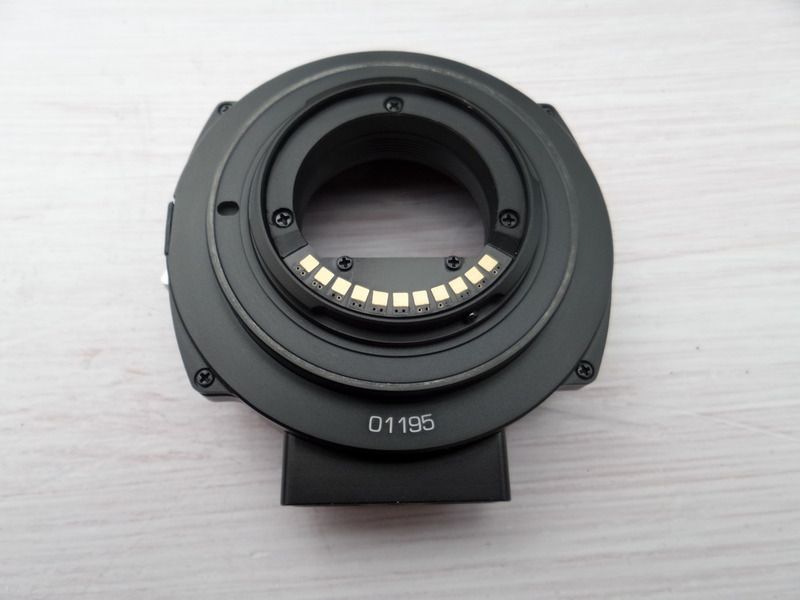 And while the mirrorless camera manufacturers may not be that thrilled about them because people may not buy their native lenses, these adapters will certainly convince more people with Canon DSLR outfits to give m4/3 a try. If they have a collection of Canon lenses, they can now use them on (some not all) m4/3 cameras, without sacrificing the AF speed and electronic connectivity they are used to. 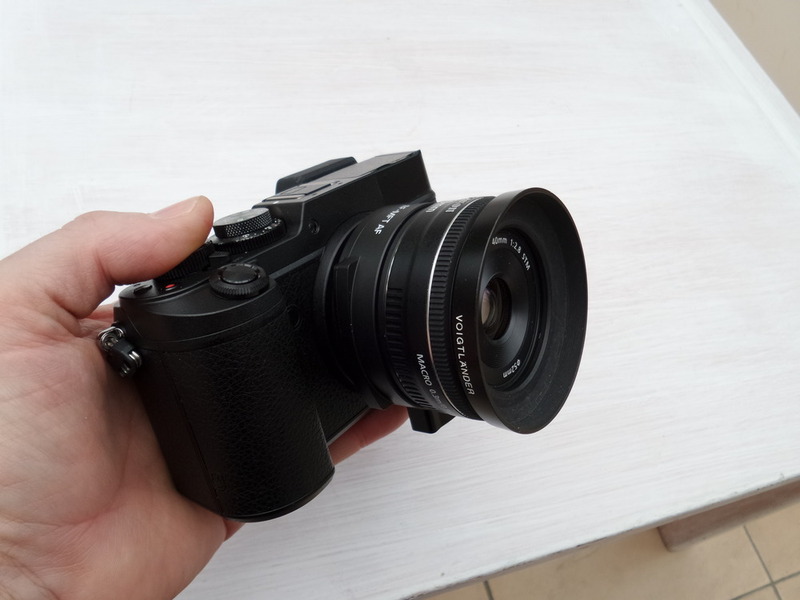 The 40mm f/2.8 Canon 'pancake' lens is a very good lens indeed and via this adapter it mimics what I would get from a 80mm f/2.8 lens. And the AF is pretty impressive. I have no way of testing the difference between this combination and a similar m4/3 lenses, but I can say that for most uses it's pretty slick. 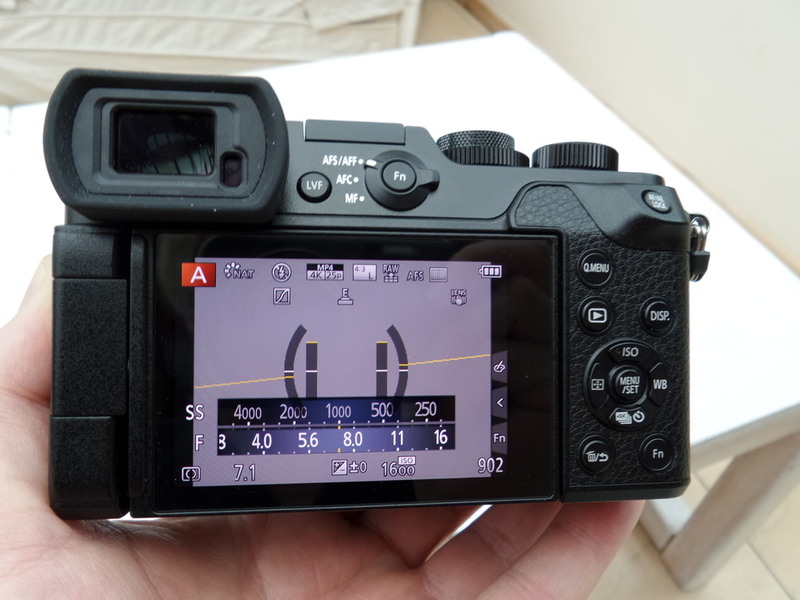 I don't have to use the lens in aperture prority mode as I do with my Nikons and the lens works quite happily in programme mode, with the GX8 selecting suitable shutter speeds, apertures and ISO settings. There is no IS on this lens but I've already tried my 24-105mm f/4 zoom which has IS on it and it again works very well indeed as you can see from the video below. Now that is hand held footage with the Canon 24-105mm f/4 IS zoom with the lens IS AND the camera IBIS both switched on. As ever with these dual stabilisation systems in play it's difficult to know what is working. I've read that with the Metabones speed booster ULTRA when the lens IS is switched on the IBIS engages and when it isn't, it doesn't. So either both on or both off. Now I can't confirm or deny this and as ever it's almost impossible to get a definitive answer. However my suspicion is (and it is only that) that both systems are on because this is remarkably steady stable footage. I tried my Canon EF 17-40mm zoom which doesn't have IS and that footage was shakier. The problem is of course that 2x crop. This kind of stabilisation is crying out for a wide angle lens, which the 2x cropped zoom doesn't provide. I have to say as well that when I used the 5-axis stabilisation on the Olympus OM-D E-M5 II I had, the results weren't this good. So, assuming that my hunch is right and the Canon lens IS and the Panasonic IBIS are working independently of each other, I think that there is a case to be made that this is the best built in stabilisation for hand held footage available anywhere. Certainly nothing I've used has bettered this. As yet neither Nikon or Canon have 4K DSLR options (though that is apparently about to change early next year) so the excellent Panasonic GH4, G7 and GX8 cameras with the ability to use the best selling AF lenses without loosing any important functionality, will be of interest to many, I'm sure. And it certainly is to me. The improvements are actually quite recent and this Kipon has only been available for a short while. But things are moving faster now and I think we are going to see some remarkable (and cheaper) adapter possibilities in the near future. And for me I think this is an entirely good thing. For too long manufacturers have tried to 'straight jacket' us into brand loyalty and then make us wait (and pay) for whatever they choose to offer. These adapters open up the marketplace and let smaller innovative companies and individuals show us what is possible if we look beyond the corporate constraints. I have always been eager to explore alternatives to the closed loop of 'brand worship' and have been rewarded with images and video that push my limits. And I will continue to write about my experiences doing that. Whether others choose to explore in a similar fashion is up to them, but just simply buying and using something because of the logo on the front of it has never struck me as a good idea and maybe more people should strike out in a different direction now and then. The photographic internet may well become a more interesting and creative place to visit if they did.